Grass-cutting contract: We have been unable to locate about 20 companies -Senate – Royal Times of Nigeria. 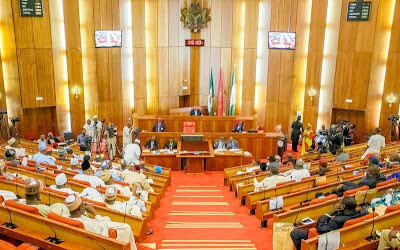 The Senate on Thursday during it’s plenary said it has been unable to locate the addresses of about 20 companies awarded the execution of various projects in the rehabilitation of the North-East. Chairman, Senate Ad Hoc Committee on Monitoring Humanitarian Crisis in the North-East, Senator Shehu Sani said some of the companies could not be traced. The upper chamber is probing the Secretary to the Government of the Federation (SGF), Babachir Lawal who is in charge of the Presidential Initiative on the North-East. He said; “Now, we are set to invite all those persons. It was supposed to be today but, unfortunately, it could not happen. “Meanwhile, you should understand that we are not investigating the SGF alone; we are investigating contracts that were awarded under the PINE. And over 20 companies were involved, but something very strange is the fact that some of these companies involved in these contracts, we cannot actually trace their addresses.